Eric Khoo's No Day Off introduces us to Siti, a 24-year-old woman who uproots herself from her home in Sulawesi to attend a two-month training institute on another Indonesian island, so that she can become a live-in maid in one of the world's per capita richest countries, the city-state Singapore. She leaves behind a husband, a new baby and a mountain of debt, which she hopes she will be able to pay off by sending her salary home to the family. However, Siti's debts will grow before they shrink, as the recruiter, trainer and placement service demand such a large cut of her first year's worth of paychecks, that she'd barely be able to afford busfare downtown, even if she did have a maid's day off. As the title indicates, she doesn't; her entire existence is shown to be structured for the convenience and whim of the three distinct families she slaves for over the course of this 39-minute video work. We catch nothing more than fragmentary glimpses of these employers, as the camera is always trained either on Siti or on the houses and objects she must attend to. The Singaporeans in the film are for us no more than disembodied voices, making demands on or insulting Siti in a language she barely understands. The first family is English-speaking and imperiously wealthy; a bottle of wine costs them more than their maid's salary. As alienating and confining as their mansion must feel to Siti, at least she doesn't have to subsist on unfinished scraps from their dirty dishes, as she does at her second set of employers, a financially struggling Chinese-speaking family that eventually cannot afford to pay her at all. Siti's third and final placement is in the home of a terminally ill father and his often-absent daughter. By far the most benign of the three employers, this household speaks a language Siti can comprehend (presumably Bahasa Melayu, one of Singapore's four official languages, and which I understand is similar, if not essentially identical, to the lingua franca of neighboring Indonesia.) A genuine bond is developed between the maid and the dying man, but it only makes more heartbreaking the moment when Siti must stand by emotionless as the daughter mourns her loss. No Day Off takes on aspects of a polemic, evidenced by Khoo's insertion of title cards bearing data on the proliferation of the maltreatment of Singaporean immigrant maids between certain segments of the narrative. But, because of the matter-of-fact, diaristic storytelling (each scene is marked by a timestamp indicating how many days Siti has been away from her home and son) it's a remarkably humane one, not a surprise from the director of the lovely Be With Me. Siti's story becomes the empathetic stand-in for all the situations aggregated into the data Khoo periodically presents. Khoo's short is one of thirty-six thus far commissioned by South Korea's Jeonju Film Festival, each a digital "film" created on a low budget by a one of the modern era's most intriguing filmmakers. The new batch of commissions premieres in Jeonju in April, and includes shorts by Jean-Marie Straub, Claire Denis (who is getting a full retrospective at the Pacific Film Archive next month), and José Luis Guerín. All thirty-three of the other shorts commissioned over the past eleven years of the festival have been screening at the Yerba Buena Center For The Arts screening room over the past week or so. No Day Off plays this Saturday at 7PM, along with shorts by Thailand's Pen-ek Ratanaruang (Last Life in the Universe, Nymph) and Kazakhistan's Darezhan Omirbaev (Kairat, Kardiogram). Later in the weekend there will be entries by Pedro Costa, Eugène Green, Hong Sangsoo, and six other acclaimed filmmakers. Unlike my friend Adam Hartzell, I haven't been able to attend each and every one of these screenings, but I have seen a sampling, including a rare few that have screened locally before this year. Hong's Jeonju-set Lost in the Mountains was seen at last spring's San Francisco International Asian American Film Festival, and feels connected to the three vignettes that make up his latest feature Oki's Movie (I caught this excellent Hong film in Toronto, and hope it appears soon at a Frisco Bay festival or other venue). The version of Shinya Tsukamoto's Haze that screened Thursday night as part of the YBCA series is a condensed (though hardly less intentionally grueling) version of the hour-long existential horror movie that was presented here by IndieFest back in 2006. Apichatpong Weerasethakul's Worldy Desires screened at YBCA a couple years ago as well, and I was very pleased to be able to revisit it in anticipation of the week-long release of Apichatpong's outstanding, entrancing new feature Uncle Boonmee Who Can Recall His Past Lives at the San Francisco Film Society's dedicated screen at the Kabuki theatre, surely this season's theatrical release most eagerly awaited by the cinephiles in my circles. Worldly Desires takes place on a film set using day-for-night technique in the jungle, just as Uncle Boonmee uses day-for-night filters to achieve a sense of the eternal. What the Jeonju project provides its filmmakers with is a kind of carte blanche they might have trouble obtaining in the increasingly commercialized world of film financing. The results are as varied as the directors themselves, but what they all surely have in common is that they represent a distillation of the fundamental desires each harbors as an image-maker. In the case of Eric Khoo, and perhaps also of James Benning, whose Pig Iron is a compelling single-shot portrait of the back end of a German steel factory, a socio-political point can be made, whether about immigrant labor or the environmental impact of our species' industrial processes. In the case of Apichatpong, or of Tsai Ming-Liang, whose A Conversation With God is a documentary compilation of Tawianese religious rituals and urban landscapes, the opportunity to purposefully create low-budget video work helps put into relief the filmmaker's approach to 35mm feature filmmaking. In all cases, these filmmakers' works are scarcely if ever shown here on Frisco Bay, which makes YBCA's initiative in showcasing the Jeonju Digital Project a real boon for local cinemagoers. 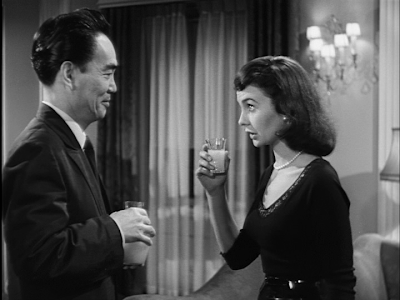 I was hoping to have written more, and more substantially, on film noir and preservation for the For the Love Of Film (Noir) Blog-a-Thon that dominated my blog feeds the past week, but it's just been impossible. I may still put up some more cogent thoughts, but let me just link to this tremendous interview with Czar of Noir Eddie Muller, and to my own contribution from last year, which has a more meaty discussion of some of the issues involved than I've had time to write this week.. More importantly, please donate to the fund to preserve the Cy Endfiled noir Try And Get Me a.k.a The Sound of Fury - I had to miss a very rare screening of the only known print of this film when it played Noir City 3 back in 2005, and I'd like to be able to make up for that with a chance to see it preserved in a print that can be played at a future Noir City event! 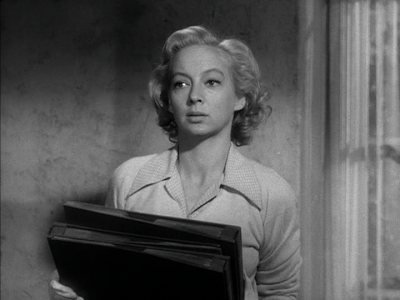 I bet you would too, and even if you don't live near a Noir City locale, perhaps a successful preservation might lead to a DVD release like the one just scored for Joseph Losey's great The Prowler (pictured above), which also played Noir City 3, and then again at Noir City 6 in a newly restored print. I just donated to the Blog-A-Thon cause, so hopefully the paypal link will still work when you read this. Here it is again. Everyone knows the Academy Awards are just around the corner. Though I've seen more of the contending films than I usually have at this time in the cycle, I find myself without very strong opinions on many (any?) of the races. I don't even know where I'll be watching the show (if a house party invite doesn't come through, some other communal options include the Balboa, the Roxie and the Rafael). Instead, I've been savoring the results of the 2011 Roscoe Awards. These are the awards selected by passholders from last month's Noir City Film Festival, put on by Eddie Muller, Anita Monga, and the Film Noir Foundation at the Castro Theatre. And there's no tawdry campaigning, no arcane eligibility requirements, no interpretive dances at the ceremony, and in fact no ceremony. That's because all the nominees and winners are from films more than a half-century old, which happened to be among the 24 films that played at this year's Noir City. Best Director and Best Director? Otto Preminger for 1952's Angel Face (pictured above), utterly deserved in my opinion, as this was the greatest masterpiece of the 2011 festival. Best Screenplay? Also a very well-deserved Lucille Fletcher for Sorry, Wrong Number. I was glad to see Barbara Stanwyck get cited as a nominee for that film as well, but agreed that another of her three festival performances, in The Lady Gambles, was the award-worthy one. I didn't personally vote for Best Actor Roscoe winner Robert Ryan for Beware, My Lovely (I preferred Albert Dekker's sane twin/crazy twin dual role in Among The Living, though of the nominees I'd pick William Bendix in Crashout) but can't argue against it either. In fact, not having been able to catch Helene Thimig's Supporting Actress performance in Strangers in the Night or Stanley Cortez's Cinematography in Secret Beyond the Door (yes, I had to miss the Saturday afternoon screenings due to my work schedule), my opinion only fundamentally differed from the general consensus on the Supporting Actor category, where Charles McGraw took the non-existant trophy for his typed-to-a-tee turn as a hard-nosed insurance investigator in Loophole, a film which I found much more notable for its authentic Los Angeles location photography than for its stone soup approach to its performances. I'd have preferred any of the other nominees, but particularly Charles Bickford's haunting performance in the Woman on the Beach as an ex-painter married to Joan Bennett's title character, who is forced by Robert Ryan to take a sort of "witches trial" when Ryan doubts the authenticity of Bickford's blindness. The above was intended to be the introduction to a longer piece on the Noir City 9 film festival and the preservation issues it epitomizes, but since I couldn't get that together, I'll just hope that reading about the Roscoes was interesting to anyone who stumbles across this post!